10ZiG are annual exhibitors of Citrix Synergy and this year gave us the opportunity for our CTO to take some time with the Citrix Ready Team. Kevin Greenway is based here with us in the UK and has an extremely strong background in Citrix Endpoints throughout his six years in the VDI industry. In addition, Kevin has a background in Unified Communications which is an increasing trend with VDI adoption. This includes integrating platforms such as Skype for Business, Cisco Jabber VDI amongst others. This and other HDX features combined make 10ZiG an ideal endpoint selection for Citrix. Following Kevin’s work in Orlando we have some great resources available for you. On 12th July we issued the following Press Release announcing that our 5910q Windows 10 IoT Thin Client is verified HDX, HDX Premium and HDX 3D Pro making us the first Thin Client provider to achieve the new Citrix H.265 encoding support. You can see the release here. We are also pleased to announce a co-webinar with the Citrix Ready Team on July 25th at 5pm BST, “Exploring the Benefits of Citrix H.265 Encoding with the 10ZiG 5910q Thin Client”. A real life “under the hood” side-by-side comparison and metrics of H.264 vs. H.265 in various conditions. Last but by no-means least, the following video sees Kevin conduct Citrix Partner Talk with Manjunatha Gali, Sr. Technical Marketing Manager of Citrix Ready at Citrix Synergy 2018. The Citrix Ready Partner Program is extremely important for our customers as it allows us to develop devices aimed specifically at passing the various HDX verification levels in order to deliver exceptional performance to your desktop (Skype-for-Business, Video, Rich Graphics, Printing etc.). The video covers a live look at our brand new Quad Core 5900 Series hardware, verified HDX 3D Pro and featuring 3-monitor 4KUHD Support. Kevin also looks at the FREE 10ZiG Manager and explains some of the reasons why 10ZiG are different to other Thin Client vendors. For more details, please follow these links to our website. Author: Tom Dodds, EMEA Marketing Manager, 10ZiG Technology. 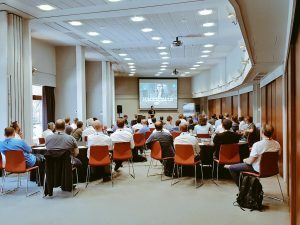 Covering topics on SD-WAN, IoT, GDPR, Secure access, the state of the VDI/SBC union and the future of Citrix, this was our 21st event, and possibly our hotest ever. Thanks to our excellent sponsors Liquidware, Lakeside Software, FS Logix, Unicon Software, AppEsnure, Ivanti, Bitdefender, eg Innovations, ControlUp, 10Zig, Atrust, Cloudhouse, Igel and Dell this was, for all your keys-in-the-door, a free-to-attend meeting. The UK Steering Group would like to thank all the presenters for their time, effort and engaging presentations: especially for those presenters presenting for the first time at our user group. Thanks to the 3D-realtime-non-augmented-VR attendees for providing insightful feedback especially for hurling some questions at Kevin: apologies for keeping the audio on during the afternoon tea-break. It is always splendid to meet and greet new faces as well as catch up with older hands. 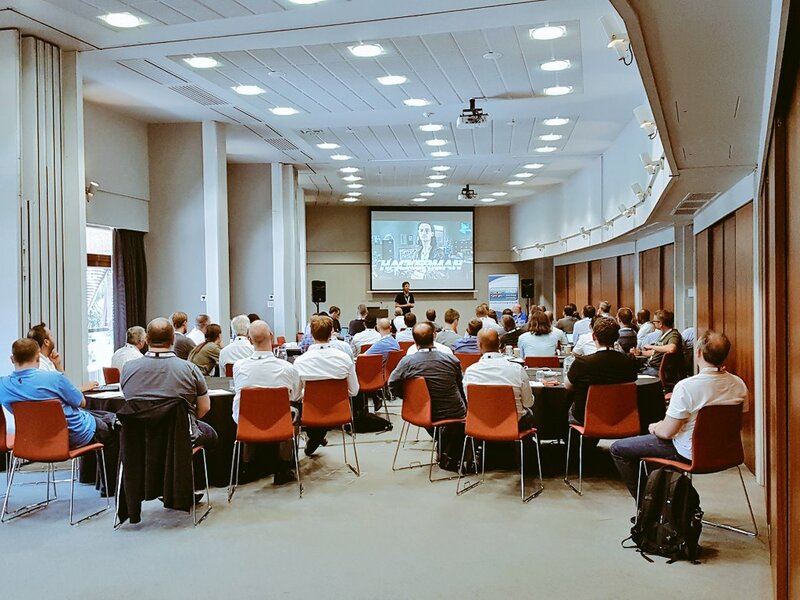 Who attends UK Citrix User Group events? For XXI we had almost 120 registered and we had an excellent turnout on the day. It did fell as if there was some canny dipping in and out of sessions to nip back to the office if I’m not mistaken, which I think we should file under “agile working”. Again, thanks to our sponsors for this free-to-attend event. Significantly, fsLogix for the lovely lunch and post event beers, and Unicon Software for refreshments.